These days there are three books in The Little SAS Book family, each with a different purpose. The original The Little SAS Book: A Primer is an accessible and easy-to-read guide to the SAS programming language while its newest sibling, Exercises and Projects for The Little SAS Book Fifth Edition gives readers practice applying what they learn from the original book. The Little SAS Book for Enterprise Guide covers a point-and-click interface to SAS. All three are published by SAS Press. When we started writing The Little SAS Book in 1992, the typical SAS programmer had a shelf full of SAS manuals that could be measured in linear feet. Sometimes they had several such shelves. The SAS Language: Reference manual by itself was nearly 2 inches thick and weighed four pounds! This was the environment in which we conceived the idea of a small book that would be easy to use and would cover the most popular and important features of the SAS programming language. We named this book The Little SAS Book as a joke since, at the time, the term “little SAS book” was an oxymoron. 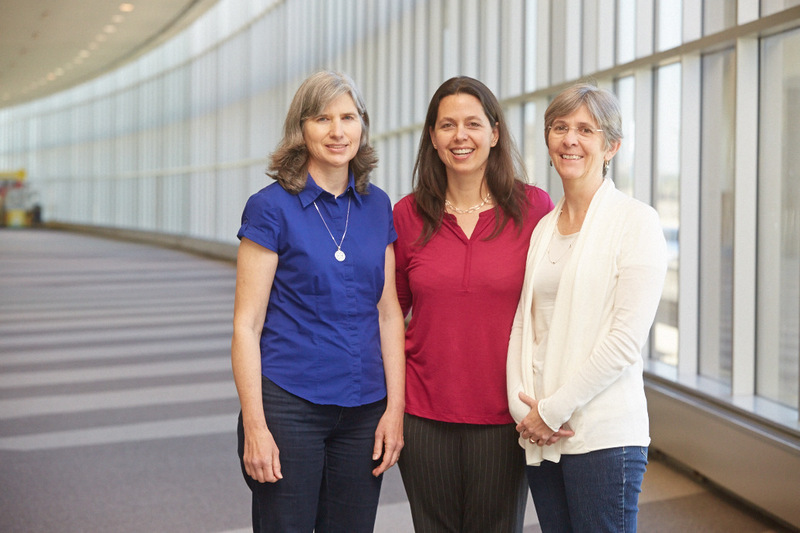 Our vision for The Little SAS Book was based on our experience helping people write and debug SAS programs. The book needed to be small and non-threatening, explain the fundamental concepts, cover each topic in just two facing pages so you could see an entire section at a glance, contain programs that are complete and executable so you could run them and see the results, include explanatory graphics, and avoid jargon as much as possible. Next came The Little SAS Enterprise Guide Book. SAS Enterprise Guide is a point-and-click interface to the SAS System which is another way of saying that it writes SAS code for you. Because SAS Enterprise Guide is a graphical user interface, writing about it required a little different approach. This book is divided into two major parts: a tutorial section and a reference section. The reference section uses the two-page layout that will be familiar to readers of The Little SAS Book. The tutorial chapters are longer, giving step-by-step instructions to guide new users through the most common tasks. At first some people were confused and thought this book replaced the original Little SAS Book. That is not at all the case! In fact, if you write programs in Enterprise Guide, then you can use both books together. 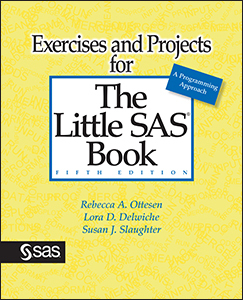 The newest book, Exercises and Projects for The Little SAS Book Fifth Edition, contains a chapter of exercises for each chapter in the original book, plus selected solutions, and a final chapter of comprehensive projects. Once in a while someone stops me at a conference, or sends me an e-mail message saying that The Little SAS Book has been especially helpful to them. Some people have even told me that The Little SAS Book made it possible for them get their first job. That’s the best part of writing this book–knowing that it has helped people reach their goals. Click here to read reviews or excerpts, download data and code, or order any of these books. First published in 1995, this new edition brings The Little SAS Book up to date for SAS 9.3 and beyond including ODS Graphics. Supplement to The Little SAS Book, Fifth Edition for SAS Studio Users Since The Little SAS Book shows the traditional programming interface (the SAS windowing environment, also called Display Manager), we wrote this parallel document for people writing code in SAS Studio. Click here to download this document for free. 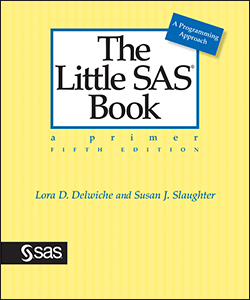 This book contains multiple choice, short answer, and programming exercises designed to test readers’ knowledge of material learned from each chapter in The Little SAS Book. The final chapter contains comprehensive projects that challenge readers to synthesize material from the entire book. This edition has been completely rewritten and updated with new features in SAS Enterprise Guide. We wrote this edition using SAS Enterprise Guide 7.1, but it also applies to 5.1 and 6.1.